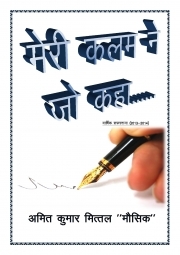 Description of "MERI KALAM NE JO KAHA (eBook)"
The Book is about the different shades of Life. It is the collection of Shayri, poems which describes the different shades of life. Hope you will enjoy the Book. Reviews of "MERI KALAM NE JO KAHA (eBook)"